The French Language and culture are introduced through games, rôle-play, poems and songs. As the children grow in confidence and competence, understanding what they hear and read, they are given opportunities to use their knowledge and skills, in expressing themselves in speech and in writing. Grammar finds its way naturally into the learning process, without becoming an obstacle to expression. Emphasis is based on communication, and our aim is to give children l’amour de la langue française. 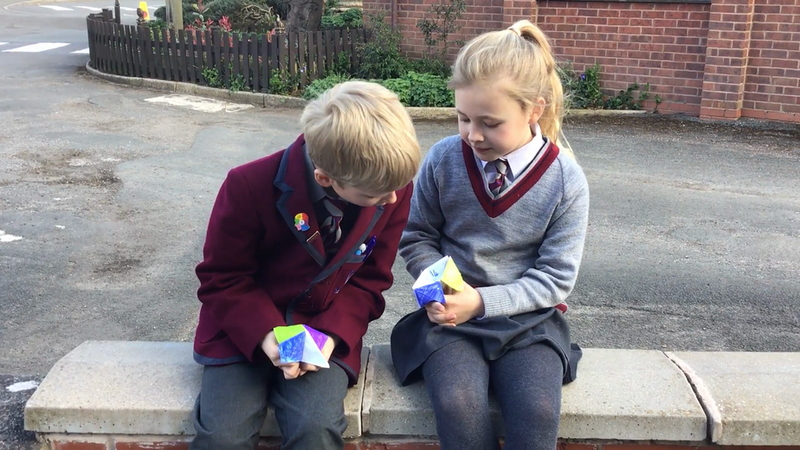 Children in Year 3 have made fortune tellers and they have used them to give their friends challenges in French.